The Office of Management and Budget is done prodding, poking and coaxing agencies about moving to cloud-computing platforms. In a broad overhaul of federal IT management announced last week, federal Chief Information Officer Vivek Kundra said it’s now time to begin acting. The new “cloud-first strategy” is not an abstract philosophy, the new guidelines indicate. It’s an order. In the next three months, agency CIOs will start identifying at least three systems to shift to a cloud platform and developing strategies to do so. These are called “must moves,” and agencies have a year before they must move at least one service to the cloud. 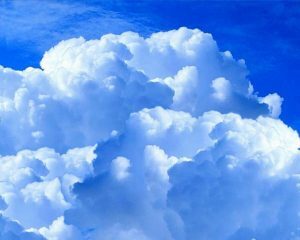 Cloud-first as a strategy was first explained by federal Chief Performance Officer Jeffrey Zients at a Northern Virginia Technology Council meeting shortly before Thanksgiving. As agencies consider new IT deployments, they must “default to cloud-based solutions whenever a secure, reliable, cost-effective cloud option exists,” according to the plan outlined on CIO.gov. The formal announcement of IT reform with its cloud provisions came just a week after two high-profile cloud moves in the federal government: the General Services Administration who leaped to cloud capabilities with Google Apps for Government and the United States Department of Agriculture who did so with Microsoft’s cloud offering.